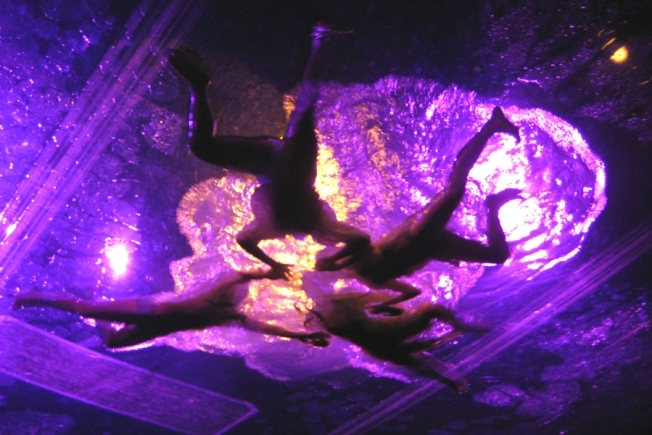 Fuerza Bruta is among the shows offering two-for-one tickets. While much of Off-Broadway remains on sale for $20 through this weekend, the city's official tourism bureau said Wednesday it will launch an On The House two-for-one ticket initiative to help fill theater seats from Feb. 15 through March 1. More than 30 Off-Broadway productions will offer two-for-one tickets, including Blue Man Group, Altar Boyz, , Becky Shaw, Enter Laughing, Forbidden Broadway, Fuerzabruta, Gazillion Bubble Show, the Marvelous Wonderettes, Naked Boys Singing!, and Shipwrecked. And just because it's Off-Broadway, it doesn't mean there are no stars. Uncle Vanya, features Denis O'Hare, Maggie Gyllenhaal and Peter Sarsgaard; Distracted, stars Cynthia Nixon; and Kathleen Turner's in The Third Story. Props should also go to NYC & Co partners Diet Coke and Metro, but the "deal" of a free coke with a pre- or post-theater meal is hardly the best bargain in town. Off-Broadway has its own Web site.